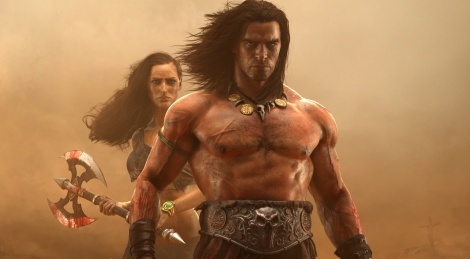 Funcom has released a bunch of new screenshots for Conan Exiles as well as a new pre-alpha trailer. The title will enter early access on PC on September 13 with a full release for "PC and console" to follow. This game has a Rust vibe to it but then again who knows. Some games look like crap in their trailers but end up being a good game. I don't know. What is so Conan about this? It's cartoony, pseudo-farmind-building simulator and a little bit boring world. 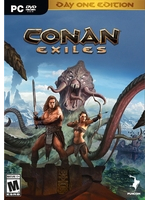 I know it's too soon to judge, but I want Conan game to be deep and brutal without collect and create stuff. Looks like Conan the Craftarian. Poor gfx and weird idea of a gameplay. LOL for this game! I think the best step for developer studio is to stop to develop this, because it looks really awful in every aspect. This game is going to be a big waste of money for them. I'm sure in that.